One of the all time great standards for serving brunch to the masses of your guests is egg strata. You remember, you mix it up the night before and stick it in the fridge. You left the fridge do it’s fridge magic, take it out in the morning and stick it in the oven for a little oven magic. When it’s done, all are happy and delighted. 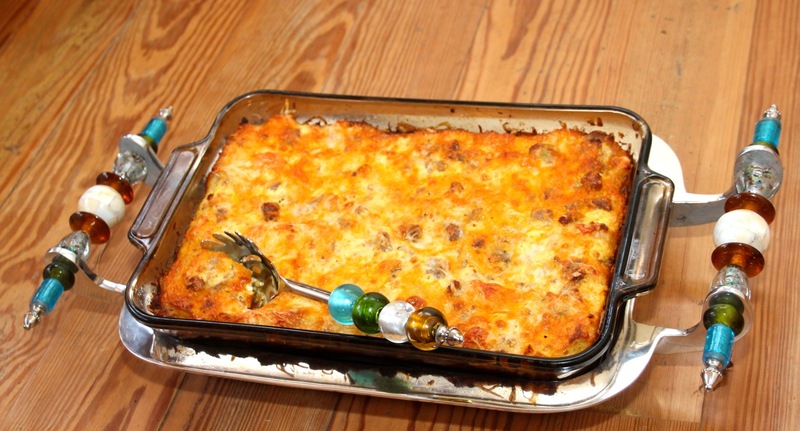 This is the same thing, an egg strata but this one is a spicy variation on the theme. It has just the right amount of kick . . . not so much that grandma can’t eat it but just enough that everyone will enjoy it. Try it with some salsa or pico de gallo and kick it up to any level you want. The good news is that it’s easy and everyone will love it! Let’s make our Spicy Strata! 1. 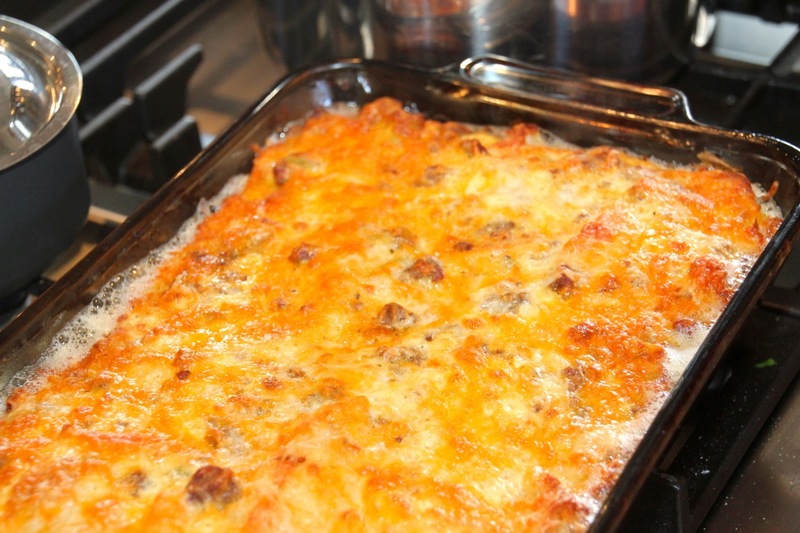 Grease a 9X13 inch pan – I use butter to grease pan. 2. Cook onions and sausage in skillet. Drain off the grease. 3. In a large bowl, mix eggs, milk, mustard, salt and pepper. 7. Bake at 350 degrees, uncovered for one hour. Let stand for 5 minutes before serving. I have found this is best served as a buffet, but it really doesn’t matter . . . they will be coming back for it either way! As always, thank you for reading and have a blessed Christmas and holiday season! 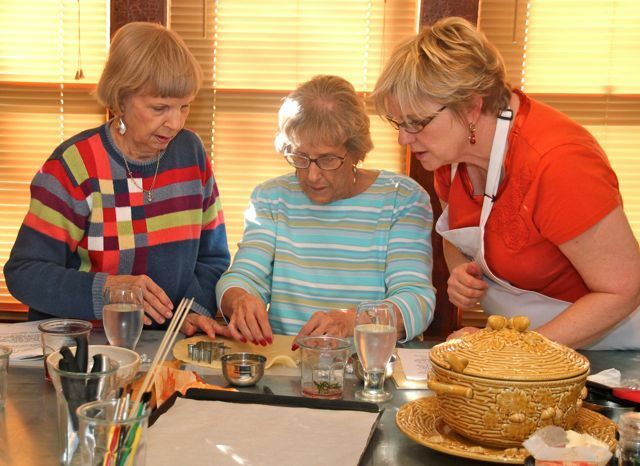 For information about our Upcoming Cooking Classes at The Lark Inn or a Relaxing Get-a-Way in the Gorgeous Flint Hills of Kansas, click on either of those links. This is a super simple recipe and makes for a great appetizer. We served it to 12 at our grilling class and there was plenty. Ready? Let’s get started! Liberally sprinkle Fred’s Rub over one side of chicken. 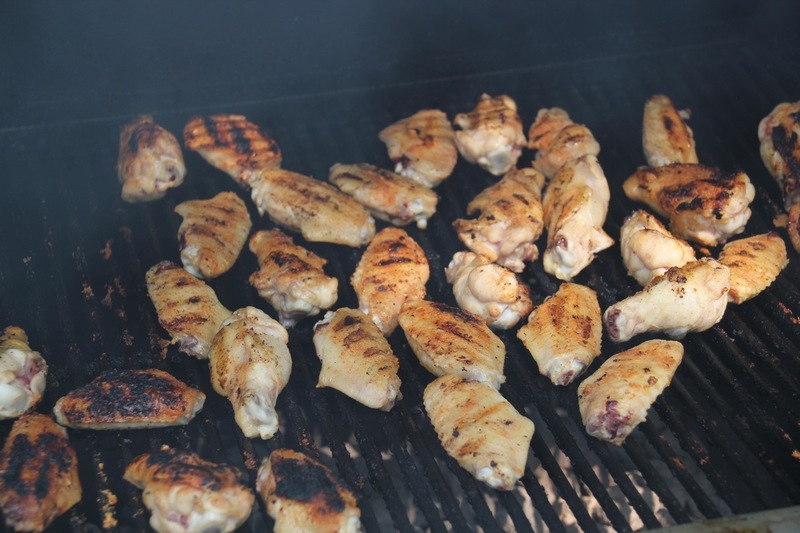 Place chicken directly over a medium-hot grill, starting Fred’s Rub side down. Cook for 15 to 20 minutes turning to avoid burning. Enjoy! 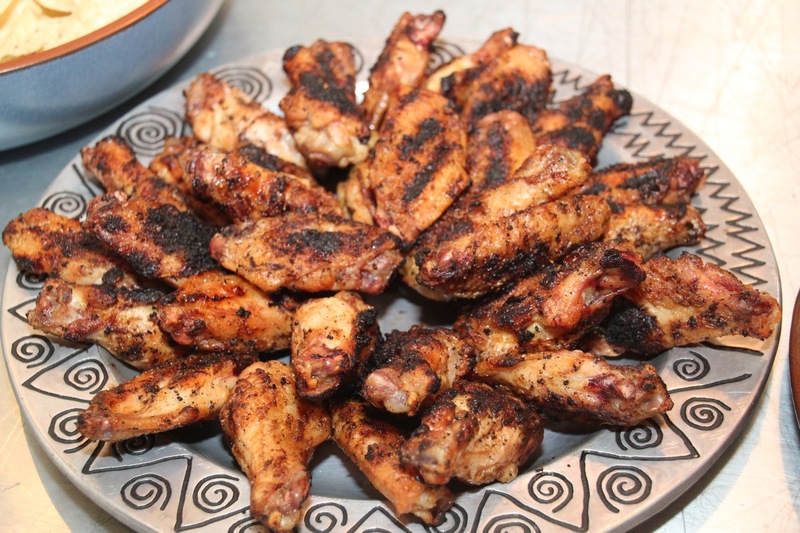 We have not found anyone that didn’t absolutely love “Fred’s Rub” Chicken Wings! 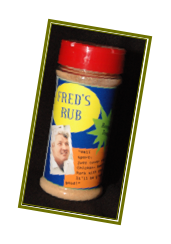 My husband’s father; “Fred” concocted “Fred’s Rub” while living the good life, grilling on his Hasty Bake grill in the mid-fifties in Tulsa, Oklahoma. Fred’s Rub is a special blend of seasoned salt, garlic powder and fresh ground pepper and is available exclusively through The Lark Inn. We fixed a super great chicken dish in our October Cooking Class at The Lark Inn. 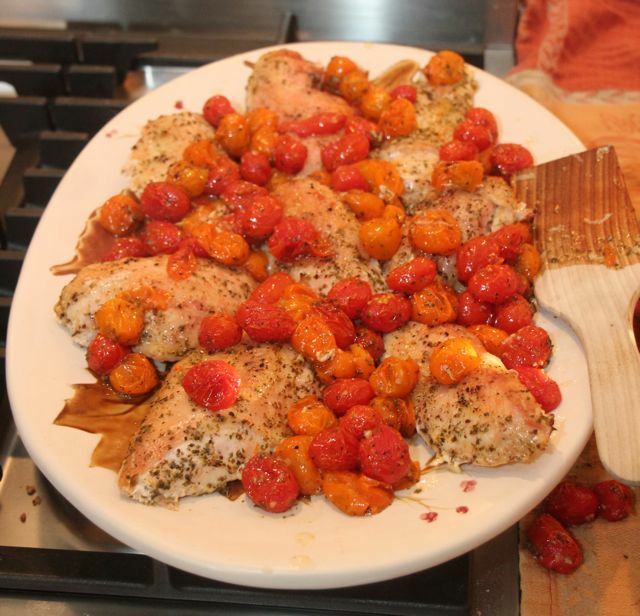 It is a “Spicy Roast Chicken with Tomatoes and Marjoram” and is very simple to prepare, very low on calories and fat and . . . it’s YUMMY! Another thing that I like about this recipe is that with the tomatoes, it plates very nicely . . . it looks great spread around on a nice platter! Our class had a great time fixing it and . . . eating it! Kris looks on as students work in one of The Lark Inn's many cooking classes. 1. Heat oven to 450 degrees. Prepare pans with either a silpat lined baking sheet or parchment paper for chicken. 2. Toss the olive oil, tomatoes, garlic, crushed red pepper and marjoram in a large bowl to combine. 3. Place chicken on prepared baking sheet. 4. 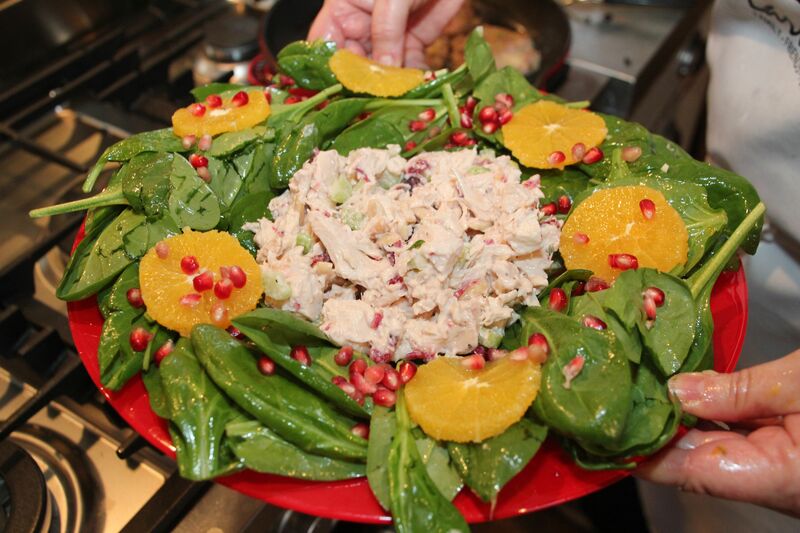 Pour the tomato mixture over the chicken, arranging the tomatoes in a single layer around the chicken. 5. Sprinkle generously with salt and pepper. 6. Roast until chicken is cooked through and tomatoes are blistered, about 35 minutes.